13 Great Black Sabbath Songs Without Ozzy or Dio! Everybody knows who Ozzy Osbourne is--everybody. The vocalist on Black Sabbath's early classic songs "Iron man", Paranoid", "Black Sabbath" and many others has become a cultural icon across the world. He left the band at the end of the 70s and had a successful solo career of various incarnations. Most headbangers, with a touch of age on them, also know Ozzy's replacement, Ronnie James Dio. He left after a couple killer albums and formed his own solo band as well. But Black Sabbath didn't rot and die after those famous voices departed. They continued on with other vocalists and released more albums of various quality. If you can name a few of those then you're a pretty solid fan whose use of this column would be largely for comparison. 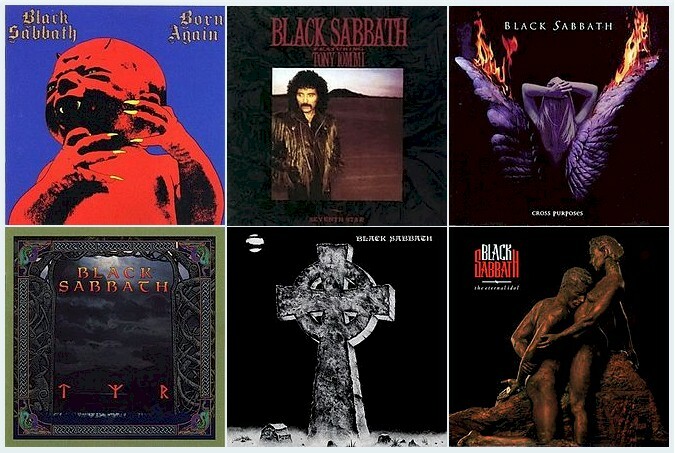 Many metalheads, however, are a bit unclear what happened with the mighty band throughout the last 30 years, so we went a little deeper into the Sabbath catalog and pulled out our 13 favorite tracks that weren't sung by Ozzy or Dio.